For someone who loves a theme as much as I do, you'd think I'd have decked myself out in red roses for the Kentucky Derby long before now. The iconic race is, after all, commonly referred to as the "Run for the Roses." 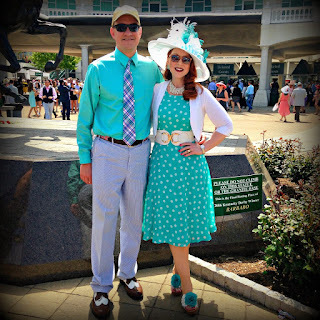 Yet, my Churchill Downs choices over the past several years (this was my 8th Derby experience) have tended toward bright Spring colors and pastels. I hadn't intended to go the rose route this year, either. But, with a weather forecast predicting rain and high temps in the mid-50s, I made a last minute decision to change course, both for the sake of saving a delicate chapeau and to provide (a bit) more warmth. Inspiration struck when I spied this purse perched on a top shelf in my closet. It came from Germany - a one of a kind gift from a dear friend who owns an art gallery in Stuttgart. 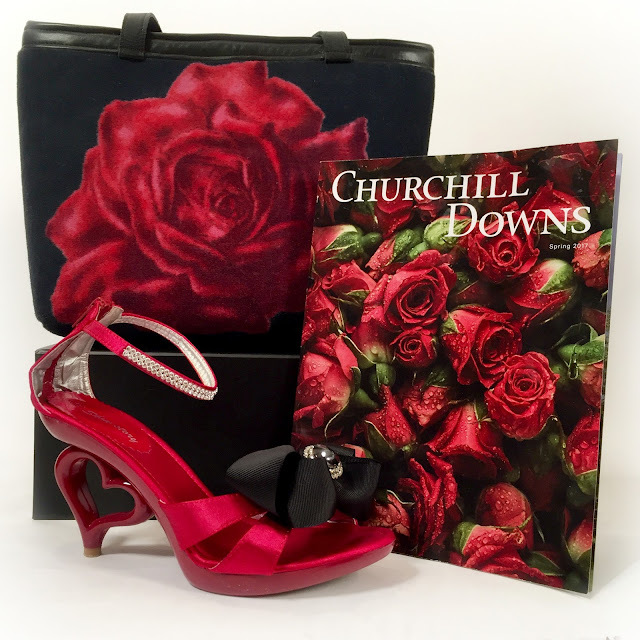 The bold red rose instantly reminded me of the cover of the most recent Churchill Downs magazine, and I realized it would pair perfectly with a rose covered dress already in my wardrobe. 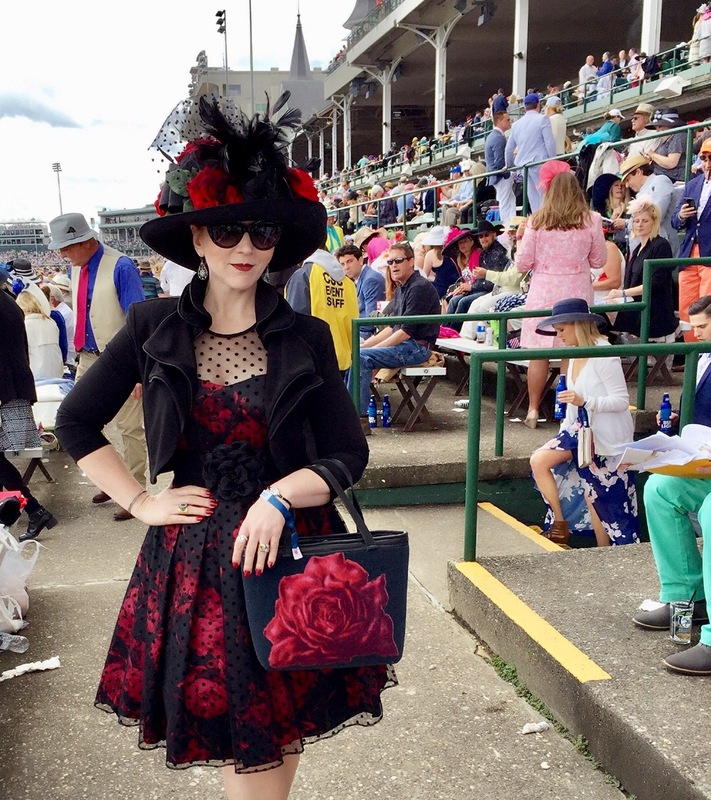 As for the all important Derby hat...well, this one isn't my favorite, but for something I put together the night before I left for Louisville, I was satisfied. 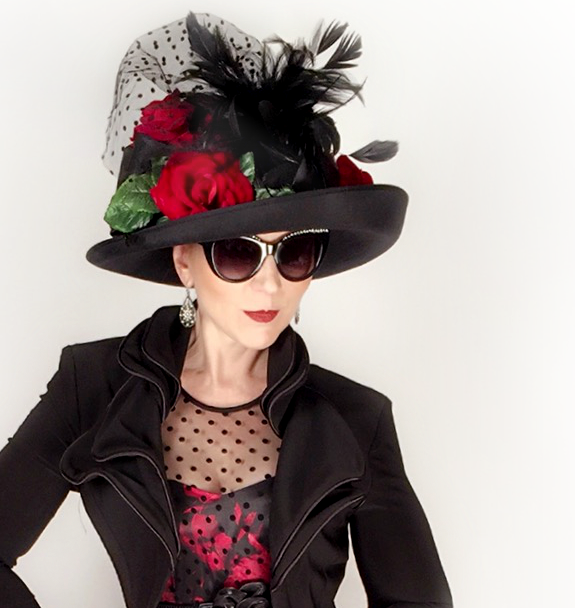 The base is a rather simple black wide brimmed hat that I've had for years. 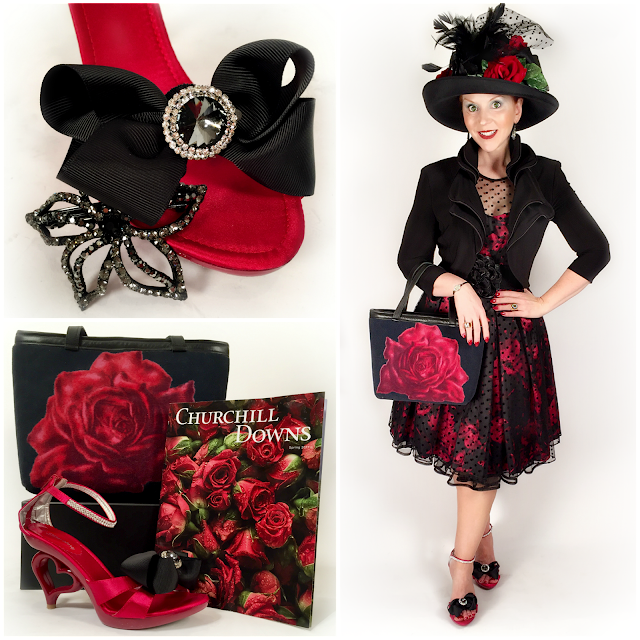 I jazzed it up with red roses and a few black feathers scavenged from my craft room. The finishing touch to the chapeau was the addition of dotted Swiss black tulle that echoes the tulle overlay on the dress itself. That element - repeated in both the dress and hat - made the look feel deliberate (rather than like I pulled it together at the last minute). Of course, I can't leave out KDef's dapper attire, also a last minute change to color-coordinate with my "new" ensemble. It's all about the details!